Chocolate Starfish will move ahead with their scheduled performances this month as per the wishes of guitarist Zoran Romic, who passed away on March 31. The English Beat will bring thirty years worth of reggae, ska and pop to Australia and New Zealand. New Brisbane outfit The Belligerents have scored dates with Van She. Ultra-light San Francisco pop-rockers Train announce a quick Australian tour for June on the verge of their new album release. 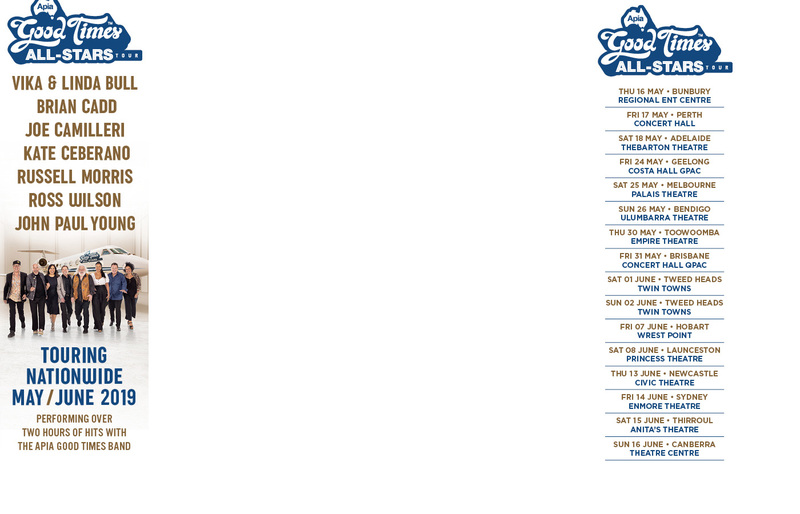 Cold Chisel have performed two shows for 2012 with two more to go in Australia and another for London on the way. Kylie Minogue had a lyric malfunction at the Hammersmith Apollo in London this week when she forgot the lyrics to ‘Give Me Just A Little More Time’. Soundgarden have chosen Cold Chisel as their special guests for Hard Rock Calling in London in July. Pearl Jam’s Eddie Vedder has had to cancel his US tour due to an arm injury. 360-collaborator Gossling posts the third slick live video for ‘Rose’, from her forthcoming EP.